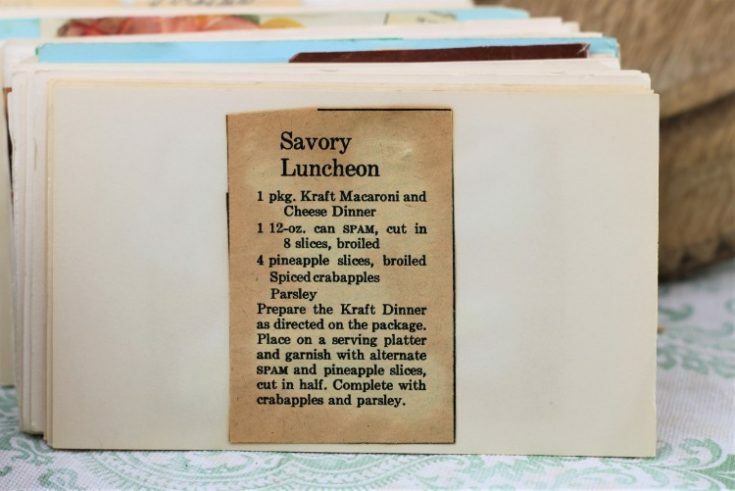 Front of the recipe card for Savory Luncheon. 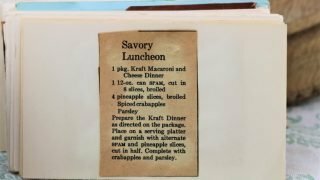 There are lots of fun recipes to read in the box this recipe for Savory Luncheon was with. Use the links below to view other recipes similar to this Savory Luncheon recipe. If you make this Savory Luncheon recipe, please share your photos and comments below! Prepare the Kraft Dinner as directed on the package. Place on a serving platter and garnish with alternate SPAM and pineapple slices, cut in half. Complete with crabapples and parsley.